The thing about Pixar movies is that they seem like an old friend you’re happy to see again, even upon the first viewing. Music plays a huge role setting up this familiar feeling in every movie. So you know you’ll have a friend at Disneyland when the memorable music of Pixar plays during the first-ever Pixar Fest. Here’s where to find your favorite familiar and heartwarming Pixar music when you vist Disneyland and Disney California Adventure. 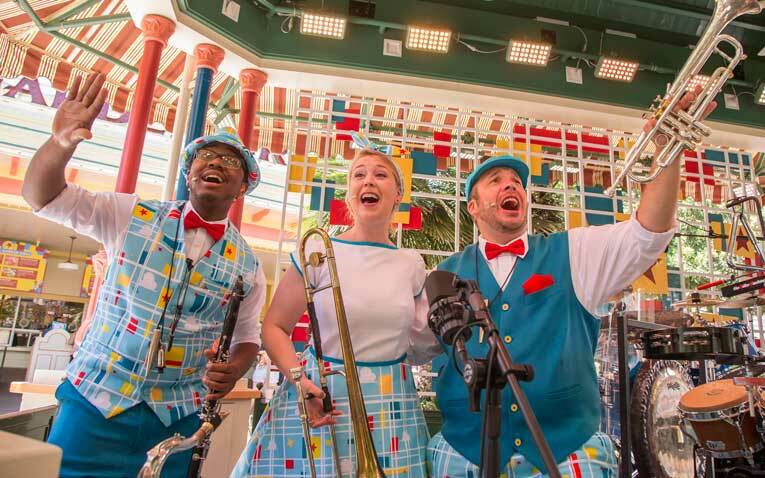 Special renditions of “You’ve Got a Friend in Me” from “Toy Story” will be performed by the Disneyland Band along with other musical talent – the Straw Hatters, Dapper Dans, Main Street Piano Player, Royal Street Bachelors and Jambalaya Jazz Band. The Straw Hatters also perform a rendition of “Married Life” from “Up,” along with the Royal Street Bachelors who include “If I Didn’t Have You” from “Monsters, Inc.” in their repertoire. 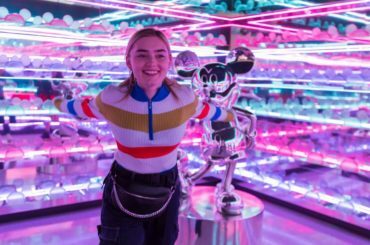 Beginning June 8, The Pixar Pals Dance Party at the Tomorrowland Terrace will get guests of all ages mixing, mingling and dancing with their favorite Pixar pals. 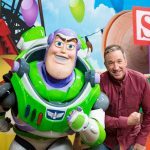 Along with the entertaining music, guests will enjoy meeting characters such as Russell, Dug, Woody, Jessie, the Green Army Men and other Pixar characters. The musical fun of Pixar Fest continues at Disney California Adventure. Guests will enjoy the catchy tunes of “Paint the Night” parade as it returns to the Disneyland Resort. High-energy, upbeat renditions of songs from Disney and Pixar films include “If I Didn’t Have You” from “Monsters, Inc.”; “You’ve Got a Friend in Me” from “Toy Story”; “Life is a Highway” from “Cars” and many more. At Paradise Gardens, guests will be treated to the musical sounds of TripleDent Gum presents The Pixarmonic Orchestra. This zany, seven-piece band performs a fun-filled repertoire of songs from Pixar films with unconventional instruments such as cowbells, kazoos, duck calls, sirens and slide whistles. On June 23, The Pixarmonic Orchestra will move to a new location at Pixar Pier. 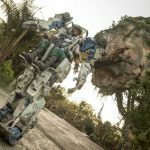 They might also win for the best costumes of Pixar Fest. Additionally, the Grammy Award-winning Mariachi Divas will perform a special rendition of “You’ve Got a Friend in Me” in their repertoire at Pacific Wharf. Pixar Fest runs now through September 3, 2018.